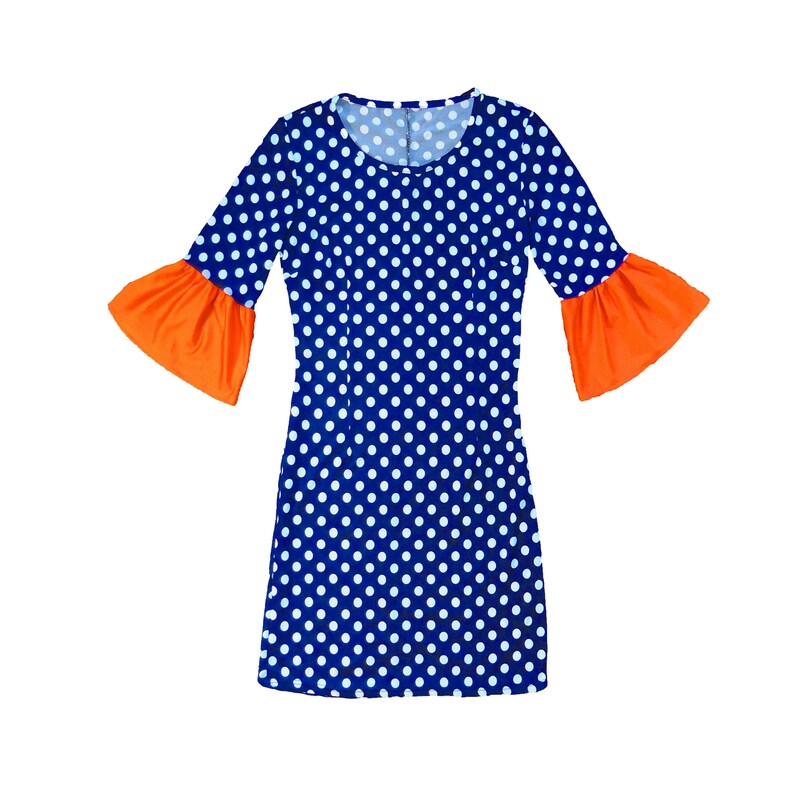 Darling game day dress with popular trumpet sleeves. 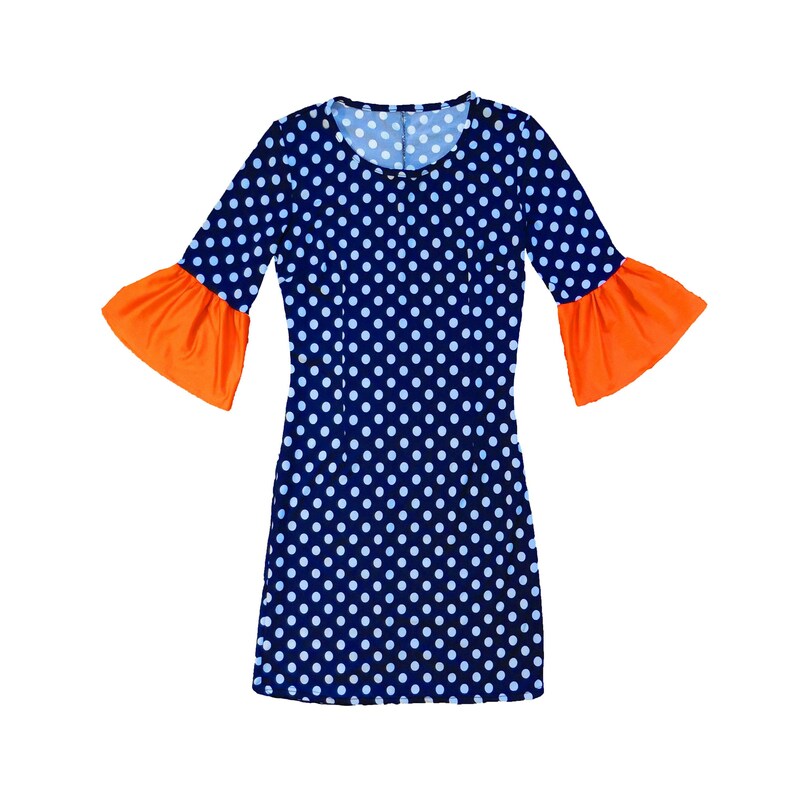 Stretchy pullover A-line dress in blue or navy with white polka dots and orange trumpet sleeves. Lycra-spandex.